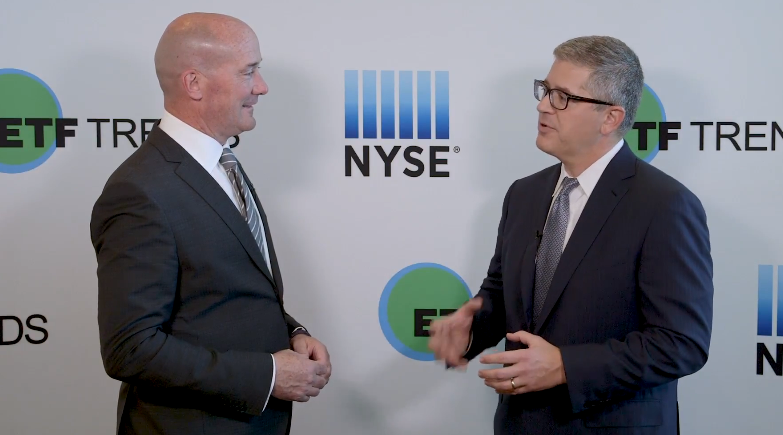 Passive bond investors have enjoyed years of steady growth as the benchmark Barclays Aggregate Bond Index helped provide core support, but with a rising rate environment ahead, people should consider active bond ETF strategies that can adapt to the changing times. “A lot of people have been in the the bond market, in passive products. They’ve done well, but now that we think that rates are on the move, the economy is healing, inflation is potentially on the move, we think folks really need to revisit active management,” David Braun, Portfolio Manager for PIMCO, said at the Inside ETFs 2018 conference. Braun has pointed out that the benchmark Agg is now exposed to greater rate risk and provides a lower yield cushion than in previous years. The Bloomberg Barclays U.S. Aggregate Bond Index has been increasing its allocation to longer dated U.S. Treasury bonds over the years. While this has helped in years past, the benchmark now exposes passive fund investors to lower yielding, conservative U.S. Treasuries with greater duration risks if rates rise quickly ahead. Alternatively, investors may consider an active strategy like the PIMCO Active Bond ETF (NYSEArca: BOND), an ETF version of PIMCO’s flagship Total Return Fund (PTTRX). BOND shows a 4.05% 30-day SEC yield and a 5.57 year duration.